You are here: Home Blog Hot Deals & Promotions Bosch Bonus Bang Bonanza! 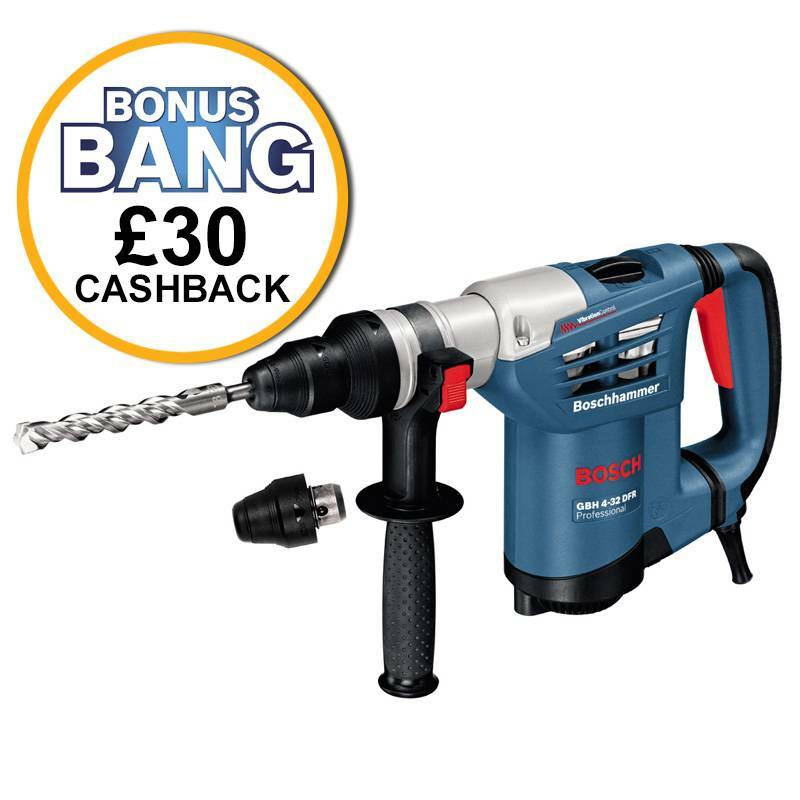 The Bosch Bonus Bang is back again until 31st December, providing a bonanza of cashback deals for Bosch customers. We have offers on a range of professional power tools ranging from £15 to £50 cashback depending on which product is purchased. Both online and in store, we’ve made it easy to find the Bosch power tools that are part of the Bonus Bang and the cashback amount. Look out for the Bosch Bonus Bang label or click here to view the Bonus Bang range. With a total of £500 cashback available, the Bosch Bonus Bang is a fantastic promotion and they couldn’t make it simpler to claim the cashback. After purchasing one of the selected Bosch power tools, you will need to download the official Bosch smartphone app and follow the Bosch Bonus Bang instructions to process the cashback. We’ve detailed the steps below on how to benefit from the Bosch Bonus Bang cashback deals. By following the instructions on the App, it’s easy to claim your cashback within minutes. Please note that your receipt must be for one of the products specified in the Bosch Bonus Bang, and dated within the promotion period of 1/10/2015 to 31/12/2015. Also, bank details will be required when creating your profile.